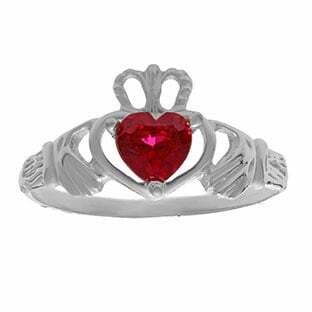 The classic Irish design (two hands holding a heart underneath a crown) symbolizes the giver's wish to let love and friendship reign. 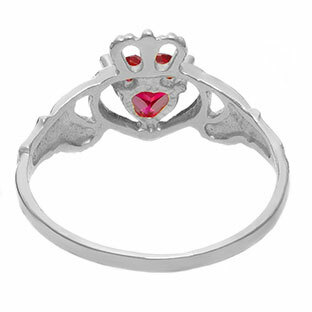 This child's claddagh ring is customized with a 5MM heart shaped birthstone of your choice. 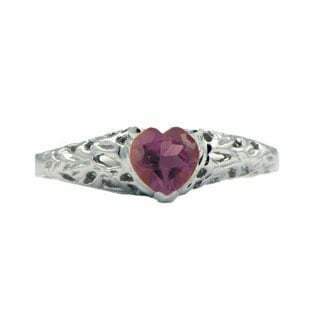 All birthstone months are available for this style. 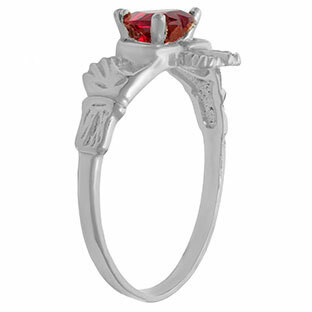 The ring is crafted in your choice of 10K, 14K or 18K solid white gold. 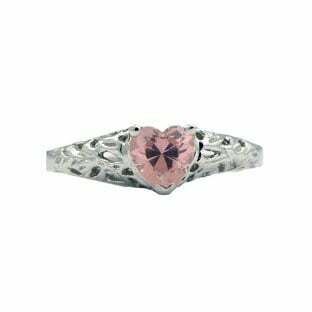 Price displayed is for 10K white gold. Available in size 2.5 through 10, whole and half sizes (additional charges apply for sizes 8 through 10). The band is 1MM wide, and is 3.5MM high above the finger. 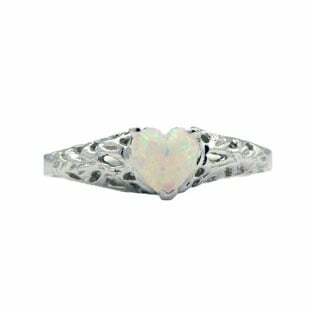 This children's personalized birthstone claddagh ring is custom made for you - please see availability message for processing times. Proudly custom made in the USA - NYC.